Kombucha is a ‘health’ drink, which has now become the rage, worldwide! Its origins go back to Ancient China (over 2,000 years ago ), wherein healers of inflammatory diseases referred to it as the ‘Tea of Immortality’. Later on, in 415 A.D., when Korean physician, Kombu/Kambu cured Japanese emperor, Inyko of his illness via this drink, it acquired a new name. The name stands until date – Kombu (physician’s name) and cha (tea in Japanese). It is quite easy to prepare this special tea right at home! You just require the correct ingredients and equipment. Avoid tap water as much as possible, as you do not want contamination entering your beverage. Stay away from plastic, since the chemicals within it may leach/permeate into your preparation. Avoid cheesecloth, for it permits particles to go through it. You are welcome to go for black tea or green tea, in alignment with your preference. A cursory look at the kombucha culture will make you think of white/beige, rubbery pancake! Purchase unpasteurised and organic kombucha. Alternatively, if your friend has some homemade kombucha at home, obtain it. How will you prepare the tea? Pour the filtered/distilled water into a large pot and heat it. As soon as it begins to boil, remove the pot from the stove. Keep stirring until the sugar dissolves completely. After the tea has steeped for 15 minutes or so, remove and throw away the tea bags. Within an hour, the mixture should come down to room temperature. Pour the cooled solution into the jar/bowl/glass. Add a cup of pre-made kombucha and the SCOBY disk. Cover the mouth of the jar/bowl/glass with the dishtowel or cotton cloth. Secure it with the aid of the rubber band. Also Read – Can Green Tea Help With Hair Loss? Place this airtight container in a safe place. Leave it alone for seven to ten days. You might taste it after every two days, just to check if the flavour is right. Fermentation is quicker in a warm home. When you find the taste to your liking, transfer the beverage to small glass bottles. They must go into the refrigerator for 24 hours at least. The idea is to allow them to cool, as well as complete the carbonation process. As the mixture ferments, you will be surprised to see a new SCOBY disk sprouting from the old one! The former is the baby, while the latter is the mother. Let the baby find residence in a glass jar containing a little bit of prepared kombucha. Do not worry about its health, it will remain energetic for a few weeks, if you take the precaution of storing it inside a pantry or on the kitchen countertop, at room temperature. You may even store the old SCOBY disk for at least a month, observing if it produces a few more babies or not. You need not fear contamination, as long as the storage is appropriate. Always store your homemade/purchased kombucha in a transparent, airtight, glass jar/bottle. Never use metal or plastic, for they invite contamination. Ensure that you leave an inch or so of space at the top. This space should suffice for carbonation. Do not ever shake the bottle, for the container may explode. Instead, even while opening it, place your hand over the entire lid and turn it. Refrigeration extends the prepared kombucha’s life span, especially if you have added flavours to it. You may add flavours a couple of days prior to the drink becoming fully edible. You may also add them when the kombucha is ready to drink. The flavours include freshly extracted juices of orange, cranberry, lemon/lime, pomegranate, ginger root (ginger plus water) and blended berries. Even natural flavorings containing low sugar and devoid of artificial sweeteners are permissible. Are there any side effects witnessed after drinking Kombucha? Yes, you may witness side effects, if you have not taken precautions to keep the atmosphere or equipment sterile. Your ingredients should be of high quality and free of contamination. These side effects include allergic reactions, bloating, infections, or nausea. 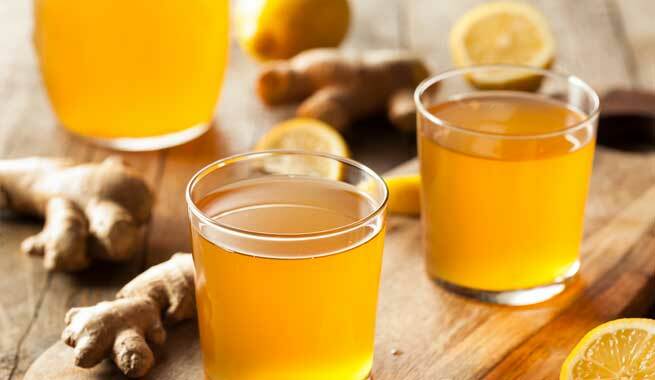 Suppose, you suffer from digestive issues (heartburn, ulcers, etc), the high amount of acidity in the drink may lead to problems with your metabolism. The good thing is that these issues occur only with a small percentage of the populace addicted to kombucha! Now, the acidic drink may affect the enamel of your teeth. Therefore, consume the glass of kombucha at one go, and then, cleanse your mouth through oral swishing. Those, who feel listless and tired often, will be glad to hear that a glass or two of kombucha can enhance their energy levels no end! This is because there are minimal amounts of caffeine, as well as high amounts of iron and vitamin B in the drink. If your haemoglobin is low, expect the iron to return it to a normal count by improving the oxygen flow in the bloodstream. This is a boon for athletes, who exercise regularly. Not only does kombucha help them to work out vigorously, but also helps them to ‘recover their breath and energy’ post exercising. Joint pains disappear as if by magic! Sometimes, they go up to a quart of the drink every day, to prevent the accumulation of soreness-causing lactic acid in the muscles. Above all, they gain improved immunization. Do not forget that kombucha has probiotics (has a symbiotic colony of helpful bacteria within it), which has anti-oxidant properties. It also possesses several natural acids. Therefore, whenever the healthy microbes in your body reduce in quantity, you are at risk for obesity, or even diabetes. This drink, which is the outcome of black/green tea, is an apt substitute for increasing metabolism. As the good bacteria enter your system and the bad bacteria disappear, you will be surprised to witness your blood pressure and blood sugar levels returning to normal. In turn, you will lose bad/LDL cholesterol, preferring to replace it with good/HDL cholesterol. 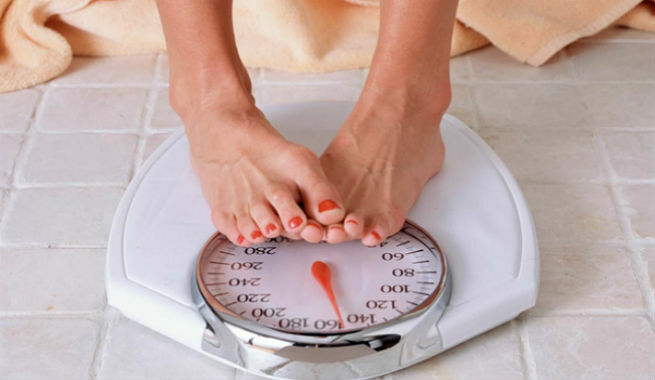 Thus, there is the loss of excess fat from various parts of your body. Now, if your weight and energy are at desired levels, you are bound to remain in a good mood all the time! Even otherwise, if you find yourself sinking into depression or encouraging the entry of anxieties, just consume some kombucha! The vitamin C in the drink will not permit the adrenal glands to release the stress hormone, Cortisol. Additionally, vitamins B1, B6 and B12, rush to improve your concentration and stabilise your moods swings. This health elixir is safe for pregnant women too, despite possessing traces of alcohol in it. Regardless, it would still be worth it to check with your personal gynecologist or physician first. Your stomach will love to befriend the enzymes, organic acids and probiotics entering your alimentary canal! After all, they give it relief from constipation, diarrhea, irritable bowel syndrome, etc. How do they do it? Well, they replace the reduced quantity of gut bacteria (normal quantity is anywhere between three and five pounds) in the tummy. The stomach is not the only area to receive a good cleansing. Even other parts of the body, including the liver, receive the same favors. Gluconic and glucaric acids play heavy roles in the detoxification process, binding to toxins and throwing them out of the body. When your gut remains healthy, your other bodily systems remain healthy too! In turn, your immune system receives a solid boost. Kombucha can ward off tumors, inflammatory ailments, cell damage, etc, thanks to its ability to destroy free radicals circulating in the body. The drink is also able to tackle all kinds of arthritis, since it contains glucosamine. This compound encourages the production of hyaluronic acid, which in turn, protects cartilaginous tissues. Also Read – Why Drinking Green Tea Is A Sure Bet For Weight Loss And Obesity Control? Watawana et al. (2015). Health, Wellness, and Safety Aspects of the Consumption of Kombucha. Journal of Chemistry, Vol. (2015). Pp 1-11. A profeesional lifestyle and beauty writer, a cook, and ardent makeup lover. Love reading, love travelling and exploring new places!